While I was at Duke, I learned a lot of things. These were useful and helpful lessons. But not everything I learned in college was useful, helpful, or even healthy. In college, I also learned about effortless perfection, the ability to make my life look perfect on the outside, regardless of what was going on on the inside. I was active on campus, and making the deans list every semester. And yet I was silent about the things that mattered. I never spoke out about being sexually assaulted my freshman year. Or the body issues I was plagued with. Or my need to work two jobs to help support my family and myself. I felt the pressure to be perfect so that no one would ever question my right to be a black girl in a predominately white space. But perfection is exhausting. At twenty two, I was burnt out. I had a degree but wasn’t sure if it was worth what I’d had to go through to earn it. Once I entered the “real world” I realized that I needed two main things in order to be successful: I needed to pay bills (DUH! ), so I got a job. But more importantly, I needed a space to talk candidly about my experience at the intersection of race, gender, work, love, and life. That space didn’t exist so I created it. 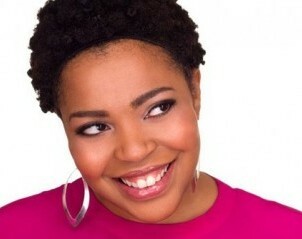 In Feb. 2012, www.coloredgirlconfidential.com was born. With CGC there is no such thing as effortless perfection. I write about life, work, and love. And I don’t try to hide the messiness of making them all come together in some semblance of a balanced life. My mission is to create spaces both online and off that provide women, especially women of color, with the skills and support they need to build lives and careers they truly love, no matter what obstacles they face along the way. Because I believe that a world where women are emotionally fulfilled and financially empowered is a better world for everyone. That world starts with you. And me. (And maybe a glass of wine… or two.) So, what do you say? Are you in?